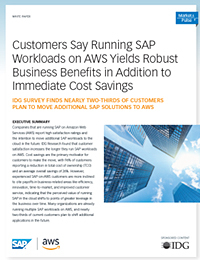 IDG research found that customer satisfaction increases the longer they run SAP workloads on AWS. Nearly two-thirds of customers plan to move additional SAP solutions to AWS. Read this report to learn the motivator for customer to make the move. 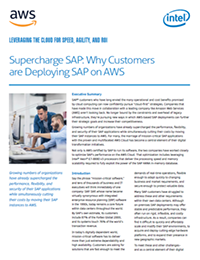 Growing numbers of organizations have already supercharged the performance, flexibility, and security of their SAP applications while simultaneously cutting their costs by moving their SAP instances to AWS. 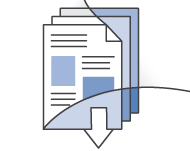 Read this paper to learn why customers are deploying SAP on AWS. IT executives are required to look for ways to execute migration in the most timely and reliable manner. Organizations migrating to the cloud cannot risk application downtime or productivity loss. 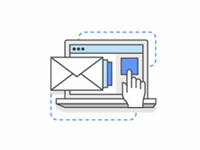 Learn how to plan your AWS resources and what to consider when migrating SAP workloads, and under the AWS architecture supports SAP systems. SAP S/4HANA, on-premise edition on AWS uses a bring-your-own-license model for the SAP software components. SAP S/4HANA, on-premise edition can be easily deployed on the AWS cloud using standard SAP S/4HANA installation process. 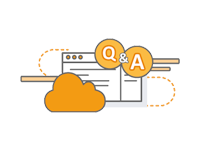 Best practices and guidelines for implementing and operating SAP solutions on AWS. Protect the application from various single points of failure. 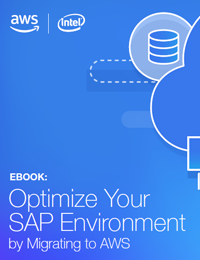 Learn how features native to the AWS platform in combination with SAP installation techniques can greatly improve the availability of an SAP deployment.